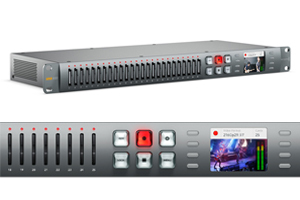 As we get closer to NAB it’s always interesting to see which manufacturer is the first to announce their new products and this year that honour goes to…Blackmagic Design. On 5th March they announced the URSA Mini Pro 4.6K G2, which was quickly followed by news of more announcements for the DeckLink Duo 2 Mini and DeckLink Quad HDMI Recorder plus major firmware updates to Decklink 8K Pro, Pocket Cinema Camera 4K and Duplicator 4K ! Quite a list, I’m sure you’ll agree, so for this blog I’m going to give you a short introduction with a more in-depth review coming soon. This camera is Blackmagic’s second generation URSA Mini Pro which has a new Super 35mm 4.6K HDR sensor and redesigned electronics. 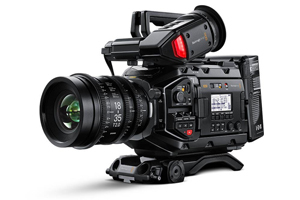 It offers 15 stops of dynamic range, 300 fps high frame rate shooting and Blackmagic RAW all at an affordable price. Improved Colour Science, ND filters and an interchangeable EF lens mount are also included. Main features are below. 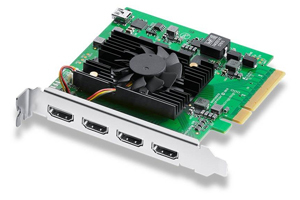 The DeckLink Quad HDMI Recorder is a high performance PCIe card that lets you capture from 4 different HDMI sources in any combination of SD, HD, Ultra HD, 4K and even computer formats, all at the same time. 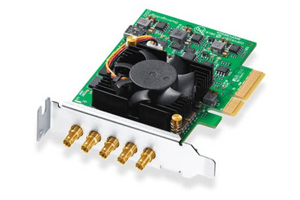 This is a compact, multi-channel PCI Express capture and playback card that supports all SD and HD formats up to 1080p60. It delivers the flexibility of 4 separate capture or playback cards in one plus, it’s completely customizable ! 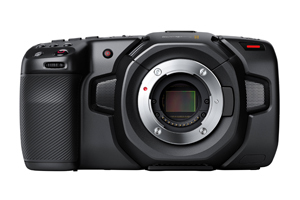 The Blackmagic Pocket Cinema Camera 4K has been extremely popular (that is marketing speak for no one can get their hands on one) and it’s about to get a whole lot worse with this new announcement. They have added Blackmagic RAW codec support…that’s right the one thing everyone had been waiting for is now here. This update is a big deal as it turns the Decklink 8K Pro into a completely different product. 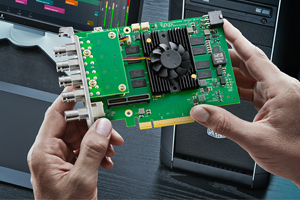 Update 11 adds multi-channel capture and playback to DeckLink 8K Pro with full 12G-SDI support for the latest HDR workflows and SMPTE standards! This is great news for people working on high-end feature films. This update brings long form recording to the Duplicator 4K 1.2 so it can now record non-stop for over 2 months with a single set of SD cards! Pretty impressive, the update also sees improved efficiency for both H.264 and H.265 codecs as well as performance and stability updates.